The ND-1 Nova Delay raises the bar for guitar effect pedals and redefines what it means to be "state-of-the-art." It's built upon the legacy and knowledge of TC's world-renowned TC 2290 Dynamic Digital Delay. With 6 different stereo delay types and the option to store up to 9 presets customizable by an array of style parameters ranging from vintage tape to digital delay. 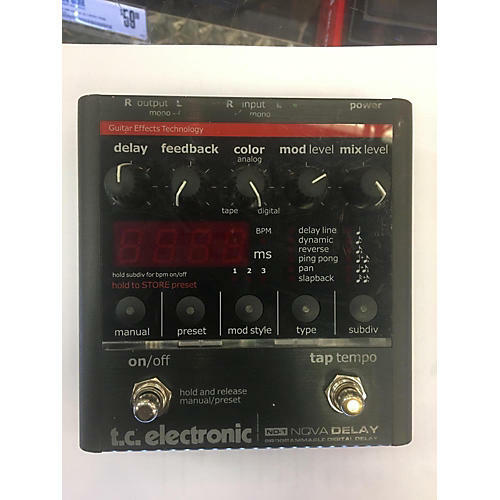 This effect pedal easily serves all delay requirements of modern guitar players who seek unique sounds. .